Sung, whispered, shouted, and groaned by Muslims and Jews, Protestants and Catholics, Bob Marley and J. S. Bach, the Psalms express the faith of a thousand generations. People have used psalms to voice their deepest anguish and delight, to comfort others, to express emotions they hardly dare to admit. In this book Kevin Adams shares stories of unlikely Psalm prayers and an unpredictable God, opening up the honest and earthy world of the Psalms in new and unexpected ways. And he invites us to find our own story within that community of faith. Nourish your spirituality with helpful reminders to look for-and create-moments of grace every day. For seekers of all backgrounds, these weekly reflections offer inspiring quotations from all faith traditions; current research on happiness, mindfulness and gratitude; and practical suggestions for incorporating spiritual practices into daily life. 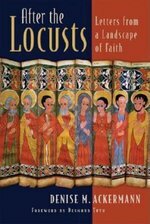 This unique collection of six letters written by Denise Ackermann to family and friends both living and dead is one woman's account of her life, faith, and work as an Anglican theologian during South Africa's apartheid years and afterwards. In the letters, which are intensely personal memoirs as well as review of the theological and political issues that have marked her career as a feminist Christian in a deeply wounded society, Ackermann discusses such issues as identity and difference, her struggles with sexism and racism, the power of naming, the evils of the apartheid years, the scourge of AIDS, and the function of faith in the midst of misery and conflict. This field-tested guidebook presents Benedictine spirituality and monastic spiritual practices as a source of wisdom and practical guidance for Christian formation today. Millions of Christians worldwide follow the liturgical Christian calendar in their worship services and in their own personal devotions. The seasons of the Christian year connect believers of diverse backgrounds and offer the sense of unity Jesus desired. 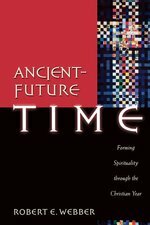 Robert Webber believes that we can get even more out of the Christian calendar. 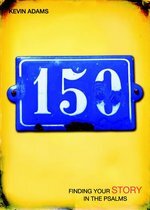 He contends that through its rich theological meanings the Christian year can become a cycle for evangelism and spiritual formation. He offers pastors, church leaders, and those of the "younger evangelical" mind-set practical steps to help achieve this end, including preaching texts and worship themes for Lent, Easter, Pentecost, Advent, and Christmas. In this wise and perceptive book, Susan Ford Wiltshire explores the multitude of ways mentoring occurs in our lives: through serendipitous contacts with friends, family, children, elders, artists, community peacemakers - even chance encounters with strangers. Using inspiring examples of several remarkable women who touched her own life. Wiltshire shows that mentors often are not recognized as such at first, and, in some cases, not until many years after their contributions are made. This book demonstrates how women can adapt to circumstances and fate in pursuing their intellectual and spiritual development. 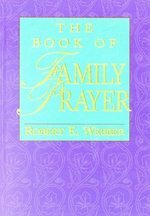 In this practical book the author presents time-tested ways that Christian have cultivated a deep inner relationship with God, including praying with the Scriptures, Centering Prayer, the use of the Rosary, the Stations of the Cross, and the Prayer of the Hours. "Prayer is not so much about convincing God to do what we want God to do as it is about convincing ourselves to do what God wants us to do." 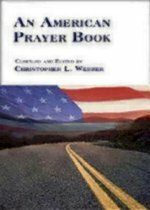 --from the Introduction Activists Shane Claiborne and Jonathan Wilson-Hartgrove show how prayer and action must go together. 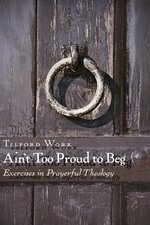 Their exposition of key Bible passages provides concrete examples of how a life of prayer fuels social engagement and the work of justice. Phrases like "give us this day our daily bread" and "forgive us our debts as we forgive our debtors" take on new meaning when applied to feeding the hungry or advocating for international debt relief. 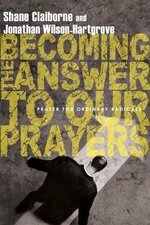 If you hope to see God change society, you must be an ordinary radical who prays--and then is ready to become the answer to your own prayers. "Discipleship," says Rowan Williams in this companion to his best-selling Being Christian, "is a state of being. Discipleship is about how we live; not just the decisions we make, not just the things we believe, but a state of being." Exploding our assumptions that work and spirituality are irreconcilable, Salkin explores how spirituality can enhance our 9-to-5 lives. Thought-provoking, practical, and exhilarating, Being God's Partner goes beyond just talking about the subject to give you specific actions to take-right now-to find greater meaning in your work, and see yourself continuing God's work in the world. In 1964, Fr. Nangle, a young Franciscan priest from the U.S., was assigned to found a new parish in a middle-class neighbourhood in Lima, Peru. This book tells the inspiring story of his journey with that parish - eleven years that saw the impact of Vatican II and Medellin - and what happened when they made an "option for the poor." Unlike most accounts of liberation theology, set among the poor and marginalized, this story highlights the impact of renewal on a middle-class parish. Ultimately it is a story about new life and conversion; it is an image of a church reborn. Winner of three Catholic Press Awards. 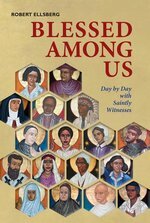 The best-selling author of "All Saints" presents this new collection of devotional sketches on history s greatest women. From Joan of Arc to Anne Frank to Mary Magdalene, Ellsberg offers insights into the lives of women that inspire us." Each of us, says author Anne Robertson, builds our own way of understanding God-our "God-box"-- and fills it up with bits of scripture, wisdom, and our experiences of God at work in our lives. It's a perfectly good way to puzzle out what God means to us. Encountering God through our human limitations, we learn something about the meaning of Incarnation. But to say that our experience of God is the only valid one is to put a lid on the box and create an idol. This book is about examining our God-boxes and bursting them wide open. Blowing the Lid Off the God-Box starts with the ministry of Jesus - who blew the lid off everyone's God-box by constantly challenging his followers with the unexpected. Subsequent chapters examine the God-boxes we create with scripture, worship, and political and social agendas.